what our couples think. . .
Where do I even start! Rebekah and Rob are AMAZING!! If you are thinking about having them as your photographers 100% do it. They were there for us every step of the way and go further than a photographer would need to to help make the day special. Without Rebekah I, as the bride, don’t think I would have got through the morning. She picked up when I was on the verge of an emotional breakdown and made sure there was a space for me to go. She then helped me get into my dress and calmed me down (I wasn’t bridezilla I was just emotional about everything because I loved it all so much haha). Rob was also amazing and helped my husband with everything as his best man was late. They both made our wedding perfect and I cannot recommend them enough. I also wanted to thank them both from the bottom of our hearts for everything!! You are both amazing thank you so so so SO much. Melissa & Aaron married at Fort Henry Exton Park followed by a reception at Barnsdale Lodge. There are NO words strong enough to really say how much love I have in my heart for Beks and Rob, memories can fade over time but having such epic images of your special day will last a lifetime! Precious moments for you to keep and pass on to you children and their children forever! Priceless!!!!!!! Unique perfection class love all right there with Rebekah Robert Photography! I cannot put into words how amazing Bex's and rob were for our wedding this weekend. Not only are they incredible photographers but they are the loveliest couple ever, and made everything relaxed and at ease, and nothing was too much! Beks certainly was a massive support emotionally for myself also. Thank you so very much for agreeing to be our photographers on our special day. We fell in love with your work when we first met you and our opinion has never changed. You are amazing photographers and your work is simply stunning. We had such a fabulous day with you both and we couldn't have asked for a better couple to shoot our truly memorable day. All our family and friends were very complimentary about your style, attention to detail and your humour to make the whole experience as enjoyable as possible. You are a truly lovely couple and we're so happy that you became not just our photographers but also our friends. We can't recommend you highly enough so thank you from the very bottom of our hearts. 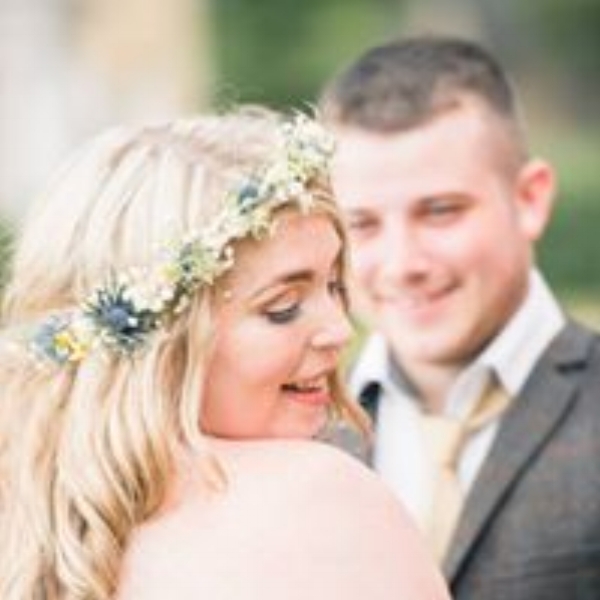 We first met Rob & Beks at Stoke Rochford before we even had a wedding to plan! We fell in love with them instantly! Me and mum then met Beks again at Belton Woods, we had seen a few other photographers that day but I was drawn in by the beautiful lady smiling at me & of course their work, we checked their diary and our date was free. The moment I got home I told Jonny of our successful day & that I had found our photographers! He knew he had no choice so I booked them & arranged to go to their lovely home! The moment we got out the car my excitement started! Rob recgonised Jonny as Kevin Costner from our first ever meeting & the time flew by! When we left Jonny looked at me & said 'you made the best choice'. We honestly truly did..
Having our engagement shoot really helped in the lead up to the big day and know what work as for us all! Both Rob & Beks eased into our family and friends and were well loved, being part of all the fun and laughter that was going on! Our day would not have been the same without them! Beks is always there to give advice & help bring a smile back when you lose your head in wedding & general craziness! She helped mum do up my dress and was there for every little moment, especially the difficult ones! Rob is able to make you feel so calm and relaxed even when you do not think it's possible. They are both truly amazing people & together they are even better � all weekend we have looked at our photos & everytime our smiles grow and the memories come back! Chloe found Beks and Rob at a wedding fair and told me she had found the photographers for our wedding. The photos are stunning. The attention to detail and little things they pick up just make everything perfect! Both of them go above and beyond, Rob not only captured every moment we had, he basically became another groomsman helping out in anyway he could. All Chloe has said is how helpful Beks was and it wouldn't have been the same without her! They're amazing photographers, that goes without saying and amazing people. Truly believe you'd be a fool not to go with these guys! I'll be recommending them to every couple I know who are planning their big day. We first met Rob and Bex at a wedding fair and instantly I had my eyes fixed on their beautiful photos and knew they were the ones I wanted to capture our special day. From the start they have been the friendliest and most relaxed people to talk with. Listening to our thoughts and ideas Rob and Bex have played a huge part in capturing some stunning photos. This couple have so much love, passion and knowledge for their job it made us completely at ease. From the beginning of my day Bex was really encouraging and helpful from sorting out little hiccups with flowers to helping with wardrobe. So relaxing and keen this wonderful couple have given us some outstanding memorable photos to look back on and share with others. I know our pictures certainly capture the love we have for each other. I am so pleased we made the decision in choosing you both as our photographers. We received so many compliments and praise from our family and friends who also had the pleasure of meeting you. There aren’t enough words to describe our gratitude for the phenomenal work you two did for us! Thank you! The day I met rob and beks was the first wedding fayre I went to and they were literally the first people we met. I was sold from the moment beks spoke to me! You can tell how much they love their job and support you throughout the run up to the wedding and on the wedding day. My husband had no idea what goes into planning a wedding and was happy for me to get stuck in and I didn't want to book until he met them, the moment we left their house after meeting he said 'yes' and he is absolutely chuffed to bits too with our fantastic photos, we couldn't be happier with the outcome! Highly recommended! When we met Rob and Beks 10 months before our wedding we had already met with 6 other photographers and were struggling to find someone who was able to deliver the style of photos we were after with a relaxed and friendly manner. We found this straight away in Rob and Beks and booking them was one of the best choices we made for our special day. From the day we booked they were incredibly helpful and supportive. Beks provided her mobile number and invited me to WhatsApp her with any wedding details or questions. The engagement shoot which was included in the package was an excellent idea, it allowed us to get to know them and vice verse. My husband is camera shy but they quickly put us both at ease. The photos were fantastic and I'm really pleased that we had that opportunity. On the wedding day, they were both amazing! With Rob and Beks you don't just get wonderful photographers with an eye for detail, you also get two incredibly lovely people who know how weddings work from front to back and are happy to get stuck in and help with anything and everything. Beks was with the ladies in the morning and helped with everything from occupying the flower girls to helping me and my mum to get my dress on. And Rob was a great source of calm for my husband and put all the button holes on the grooms party. Throughout the day they were both on hand and only too happy to oblige with any extra pictures we wanted as well as helping with other little bits and pieces. Our day wouldn't have been the same without them and I would wholeheartedly recommend them to any bride and groom, you won't find anyone better! Rob and Beks photographed our wedding in July. We can truly say they were fantastic! From the moment they arrived, they got stuck in and was doing hair, helping with ties and button holes. The morning was made so special with them there, they made us feel completely at ease and kept a bride calm and relaxed. The photos at the church were organised to perfection, there was not hours of photos it was 20 minutes max of all of our group photos! It was brilliant, everyone knew when and where to be and there was no time wasted which is so important when time is so precious on such a special day. Furthermore, at our venue, their artistic and creative photography skills shone through! The photos were taken in places that you didn't know existed, they worked it and got the perfect shot! Again, their perfect timing allowed us to have a good balance of intimate photos but also enough time with our guests! 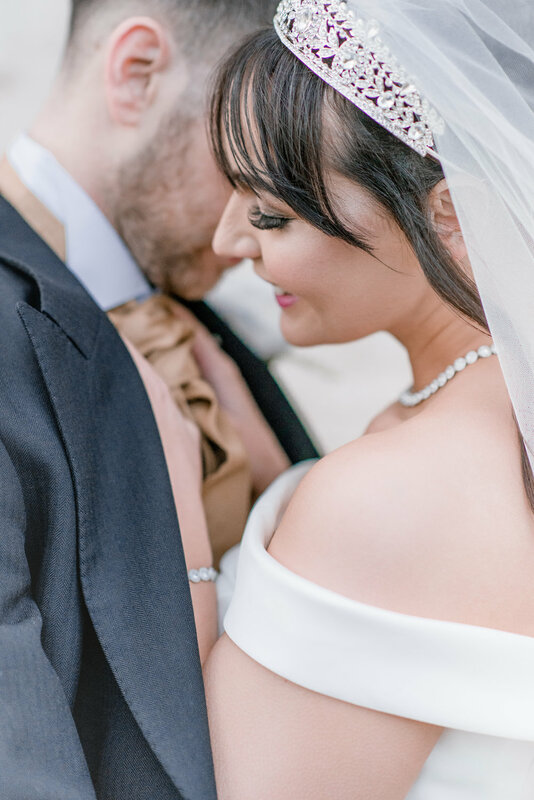 Rob and Beks were not just photographers at our wedding, they were our guests and were apart of our day which is perfect for a relaxed and natural photos! We already love our sneak previews of our photos and we literally could burst with excitement to get them all! Rob and Beks, we can't thank you enough for helping to make our day perfect!